If you do too much of something it is well known its benefits can diminish. With swimming the accuracy of a certain movement will fade and its effect limited as we fatigue. Not just physically tire of performing the movement but also the psychological fatigue as when we engage high concentration levels we can only absorb so much. There are two aspects to a hybrid drill, the ease with which it can flow into and out of full stroke and how two separate drills can combine to produce more than the sum of the two separate drills. Watch the FreeWilly drill to see how an isolated drill movement helps to launch the full stroke FC into the next 3-5 strokes (Apologies for poor filming on this one.) How it shapes the recovery and encourages the legs and hips into action after the slow drill. This is a great example of combining the drill into full stroke and utilising the slow drill movement to encourage the body to work harder to ‘launch’ into full stroke. Many drills flow into and out of full stroke really well, others not so much. 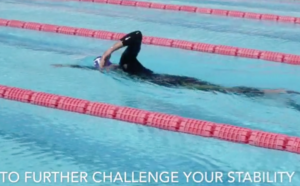 If we can perform a shorter amount of a drill with enhanced accuracy, then as adults learning to swim faster we discovered this was a winning formula as the drill carried into its teaching points in the full stroke naturally. Traditionally a length of a drill repeated multiple times would be needed to help someone new to swimming learn a movement, to hold an improved position in the water or to unlearn an incorrect movement. With fins and other pool accessories to help with accuracy it was essential to repeat the correct movement 000s of times. Most of us who learned to swim in the 70s & 80s then joined a swim club and would then start a fitness regime since most swimmers had the basics. After this not much drill and technique activity would happen. As we have learned and understood more about water we know how important swim technique is. For those who have moved on from learning to swim and are needing more of a learn to swim faster effect but might currently feel they have plateaued, hybrid drills might be the answer. The Superman <extension position> is a wonderful drill for working the legs and a streamlined body position. Made easier and more accurate with fins. It might seem straightforward but there are a lot of points to take on board. Without fins it is particularly hard to do well. At least not to the extent that many of the following teaching points needed are incorporated. Small kick offset as hips rotate slightly. The beauty of this one particular drill though is how it flows into and out of the full stroke. This makes it more accessible and accurate if you cannot use fins. 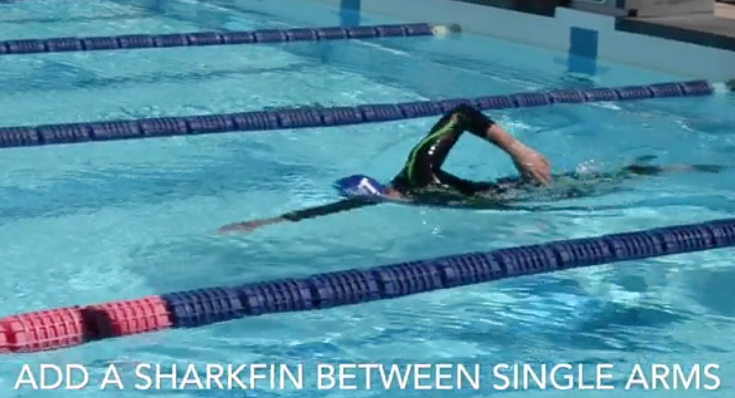 More full stroke and less drill if fins are not allowed, more drill and less full stroke if they are. Play with the numbers and work out a ratio that works for you i.e. delivers all the accurate teaching points mentioned without fins. If you cannot hit all of those teaching points you have to ask if it is really helping. This goes back to the point that a full length or two of a certain drill is rarely performed with such accuracy. It is better to mix shorter amounts and more quickly have the movements shape the imminent full stroke. The ratio of drill can be measured in seconds held or the number of breaths taken in the drill position. An odd number of full strokes will leave you ready to perform the drill now on your opposite side. The momentum of your full stroke can carry through to the drill allowing a short section to be performed without fins which is useful once a certain level of accuracy has been achieved. Equally, the positions the drill puts you into will more quickly flow into and shape the full stroke which is what I hope for of a drill. 50m of an averagely performed drill leaving you tired is less likely to have the desired impact we are looking for when you turn around and commence your 50m of full stroke. More recently I have been combining drills with multiple elements to help swimmers full stroke by delivering additional benefits. Ideal if you have grasped the basics and plateaued with your progress. Progressive challenges will activate the body into working harder to perfect movements. Levels of focus can be improved during the drill as these movements need full concentration. This allows the brain to really switch off during race mode, yet retain great accuracy in your swim technique when your concentration is elsewhere. 1 Part of the drill has been designed to check the first part has been executed correctly. It could be to promote a good finish to a movement which otherwise might have been lazy or to restrict an incorrect movement. The following drill came about for exactly the former reason. 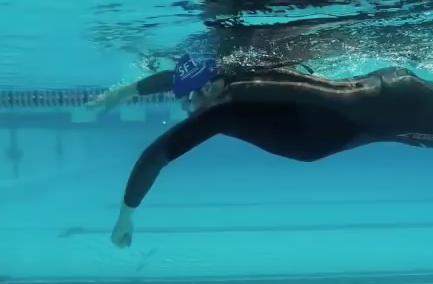 The advanced single arm can easily be swum incorrectly with no real idea if it is being performed accurately. A lot of swimmers remain flat, shoulders parallel to the surface, when performing and wonder why it is difficult to breathe. 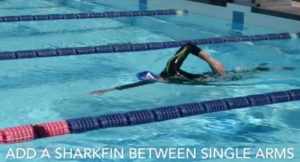 The addition of the single shark fin arm movement in between each single arm reminds the swimmer to complete their rotation improving body position and making it easier to breathe. 2 The addition of the two or more movements promotes an enhanced synergy. Not really specific drills but more to do with the effect of adding multiple swim aids. The SFT swim down is something we refer back to frequently as sessions conclude as we attempt to polish our tired strokes before exiting the pool. 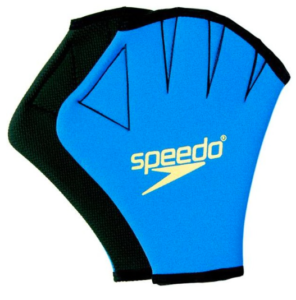 With fins and Paddles you get the hands and feet movements accentuated and able to work together more. 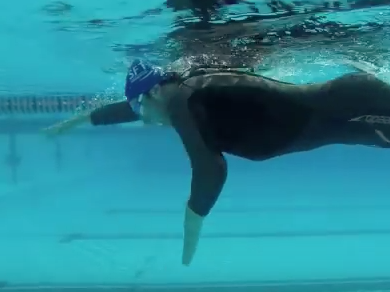 With the larger hands doing a better job of anchoring the arm, the fins can help drive the legs and shift the body past the hand. Hips will sit higher and the body position will feel great. The extra sense of speed can also be a positive. Another variation of this might be swimming FC arms with Butterfly legs. The natural undulating rhythm of the hips delivering the butterfly movement will in turn speed up your FC arms. As the FC arms react and speed up so can the kick, the two work together really effectively. They complement each other to the extent some fast International FC swimmers have experimented with fly legs as their full stroke FC. 3 Restrict one area via a drill then enhance it with part 2 can really help you feel when you get it right. Fast legs with fins in the normal FC swimming position for 10m then point the toes down for drag and to lower the body position for 5m. 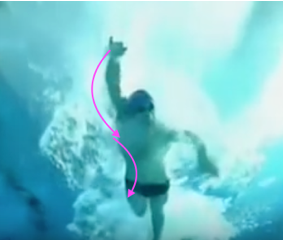 The arms will work harder to offset the additional drag from the legs but the key point here is the sensation of enhanced height and speed in the water when you resume your normal kick that had been restricted. Both of these variations are superior to the classic Fist drill which might have previously been practiced for a full length leading to getting tired and losing accuracy. Reduce the low wide sweeping arm recovery which will have you snake down the length. It is easy to switch off and lose concentration when we work with the classic Fingertrail, just like catch up, we know it and we can do it in our sleep but add a related tricky part two we might just absorb more as we concentrate more. If we then pull with a fist clenched for a few strokes, we heighten our concentration on the tricky pull movement and enhance the correct recovery. 5 Set up a position or movement then work against it in part 2 to accentuate the sensation of getting it right. I stumbled into this MFC drill wanting to have swimmers feel what it is like when the Triceps accentuate and get involved with a solid push at the back of the stroke. Clenching the fist at the start makes the movement feel really easy. When the hand reopens the hand feels like it has the biggest paddles on and the arms really get a sense of what they contribute. Start with catch up to isolate each arm first to make this a little less complex. Slip the hand at the start of the pull and once the forearm is vertical open the hand to its normal shape and push through. As a secondary effect it will bring an awareness to a vertical forearm as you set up your catch position. Restrict and accelerate, if we are forced to hold back a movement we can often launch into the correct position with more efficiency and accuracy. As you perform a normal sculling motion with the hands in front you sweep water back and forth. As that water moves in one direction you then pull it back towards the feet as you start your full stroke it can feel more solid. Many elite swimmers appear to start their pull with a very small and subtle out sweep before bringing it back to centre. It is hard to define why and how this helps but I feel it is related to the movement of pulling against ‘water already in motion’ in one direction so it feels just a fraction more solid. After the small outsweep it is common for a subtle S pull to be used so that you do not pull in an entirely straight line. If you do pull perfectly straight this allows the water to move under the hand and around the back of the hand. At this point you get the hand slipping and the body no longer moving forwards. In an effort to search out solid water to hold I think the first small outsweep moves it to one side and it is then ‘caught’ and pushed back towards the feet. The change in direction momentarily helps. Don’t overdo the secondary sweeps & movements as they will throw the hips around and slow your general progress. Stifle then magnify. In particular with this example I am thinking Sculling with Mitts. With the gloved ‘paddles’ on and performing sculling the body works harder to make any kind of connection to the water. Once off, the connection of the hand to the water is intensified and swimming at this point will feel like you have a heightened feel of the water. At an advanced level a drills combination sequence might just help your technique to have a breakthrough or at least withstand more fatigue stress that is so critical to fast long distance swimming. Technical inefficiencies can be sustained for short fast bursts but if you are looking for sustained speeds with the least amount of effort going to waste then improvements to swim technique are key. You only have a certain amount of energy available and in a medium nearly 1000x dense than air you can end up using that fuel at an alarming rate. So it seems not only was I physically tired from Lake Geneva affecting Nationals in Sheffield the efforts had actually affected my stroke. The decline in swim technique is often sneaky, it slowly goes and you might not notice it. Counting strokes helps and an increase is reason to be concerned but it can be attributed to other factors. Slow times can be due to fatigue and water will punish you dramatically if you sit low in the water even with good technque. Something else was amiss for me…. I had felt heavy and disconnected in the water and this reached a peak at the Aquatic Centre last Friday. I was really concerned for World Masters in Hungary this coming Friday. I had swum at Hyde Park on Wednesday night helping at the Silverfit Aquathlon and again put it down to a cold night and lack of warm up before trying a fast 500m to lead the swimmers out and resume my position helping swimmers out at the swim exit point. Friday I swam an easy 3000m mixing swim/pull/drill and kick. Emphasis was on drills, no efforts just trying to feel the water again. For the first time in years it felt like my kick was out of synch with my arms, usually it flows, works together and creates forwards propulsion from assisting my rotation. My arms had been heavy and I was not feeling the hold on the water I usually have. With strong arms to keep pulling my body forwards and over ‘anchored’ hand from a good hold of the water I know this is the winning formula to my long distance swims. I knew my legs were not physically doing the wrong thing I just had to go back to some basics and have them start to drive my rotation again. For the past few weeks they had been along for the ride and not contributing. Extension <Superman> and Torpedo are my go to drills for waking up the legs, letting them learn their role again. Let them know they are important for helping drive the hips and assisting the upper body onto its side. But not propulsion. Torpedo is basically the FC body position stroke with no arms involved. Head still, body rotating from the kick movements, not from the arms. The arms should be allowed to pull you through and over the anchored hands. Coach Gui had picked up I was pushing down with a straight left arm, helping my OW breath to the right. I always train breathing every 3rd but race every 2nd to the right (unless conditions dictate otherwise.) He was on deck at Hyde Park during the Aquathlon and picked up on this. A major flaw since you are basically swimming single arm each time you breathe if you push it down straight form the shoulder rather than set your pivot point from the elbow and engage the forearm to assist the pulling forwards. Pivot at the shoulder and you bounce up not forwards. I worked diligently on my bilateral breathing, added some snorkel work so I could emphasise my left arm catch and check symmetry with the right. Advanced Single Arm is another great drill I use to check my kick and arms are connected. This ‘king of the drills’ is highly effective since it needs a good kick and catch position to work well. If any key component is missing then the drill will leave you flat and struggling for air. No rotation through the drill and it will leave your shoulders parallel to the surface shutting down the opportunity get air as there is no rotation back onto your side. This drill is easier with a snorkel but must be done without to get the feedback that you are doing it right. You might prefer this version if you are not sure, it is one of my favourite Hybrid Drills. Adding the Sharkfin arm movement in-between each single arm ensures you finish the drill correctly. 8x50Fc, 5m fast/45 easy, add 5m of fast each time, lose 5m of easy. Rest 10. 400m SFT swim down, our own creation to ensure the stroke is at its best before exiting. I was starting to feel like my stroke was back, timing was better, easy speed was coming back and I was sitting higher in the water. Each fortnight I often ‘test’ myself with a 300m straight FC swim. Usually at the end of the week but I figured this could be helpful for confidence heading into Friday. 3:52 was 3 secs quicker than usual. Don’t forget to regularly come back to some drills regardless of your ability, they are not just there to help newcomers learn to swim, they can help polish discrepancies that creep in. They will also help rebuild your technique if fatigued from a hard mainset. If Olympians can do drills for this very same reason then so can we all. I think it is always a great idea to polish the technique before exiting hence the SFT swim down concept. After the epic swim in Geneva I then attempted to race Masters OW nationals in Sheffield on Sunday. Only 10days after finishing the Big Swim in Switzerland. During some downtime after the swim I found the energy to cycle one of the Cols in France chasing the TDF. I was still on a high and excited with our teams performances. I was unbeatable and this new found fitness would carry me through the rest of the season. It may well do but as I found out, not quite and not yet. I thought I had rested enough ahead of Sundays 3km OW swim, I had put in low key 3-4 steady sessions in the pool, some swim bench work and light rowing. As the gun went I knew I was not that excited to be racing. My arms confirmed this, I can usually hold a good amount of water and find some fast ‘easy speed’ early on to the first buoy but it was not happening. As the race unfolded I was content to plod. I had no extra gears towards the end to race it home with the small pack I was with. Bottom line give it some time. Often your head tells you it is not quite ready and delays the bodies efforts to get back out there. If you are keen or just cannot miss an event such as my situation last Sunday then just be prepared psychologically for a less then great performance and try not to be too disappointed. Good luck if you are racing this weekend, get some rest!